If you’re looking to rent a luxury car for a day, week or even a month we have the best deals for you. Hire a luxury coupe for a special event or just to cruise through South Beach in a beautiful luxury car. We have plenty of options to choose from such as the Rolls Royce Wraith, Bentley Continental GT, Mercedes AMG GT, Audi r8, Aston Martin DB9, Bugatti Veyron or Porsche 911 to name a few. We have a great selection of premier coupes for rent in Miami from the best luxury car rental manufactures. Get FREE delivery to Miami international airport so the first thing you’ll see when you arrive is your beautiful luxury car. 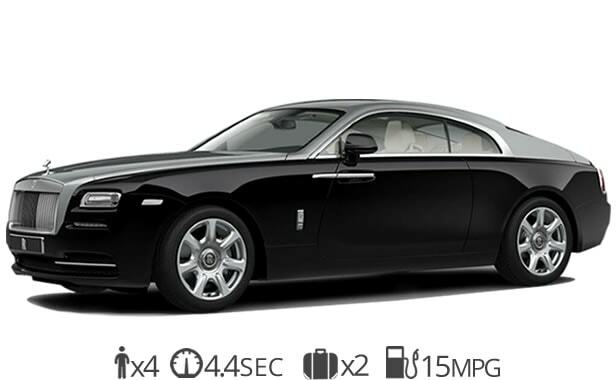 The Rolls-Royce Wraith is the most powerful and luxurious coupe rental we offer. Inside you’ll find a stylish, handstitched interior that is meticulously crafted with the finest leathers. Our Wraith rental service is available for you anytime you need it. You can Rent a Rolls-Royce Wraith for just a day or take it for the whole weekend. There’s no better place for Rolls Royce rentals than here. We offer free delivery to South Beach and Miami International Airport. The Bentley GT is an another beautiful luxury car rental. The GT has a sportier look than the Rolls-Royce models. The Continental has incredible performance under the hood. It is also a very comfortable car to cruise Miami with and does 0-60 mph in just 4.3 seconds. It is equipped with a luxury interior and high-end finishes all around. The GTC seats 4 passengers but the rear space is a little tight. 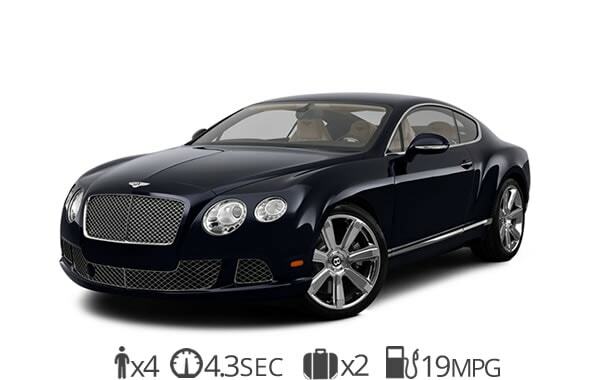 Rent a Bentley luxury coupe in Miami today! 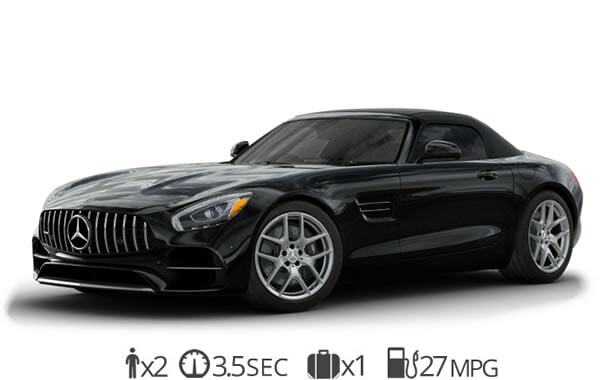 Rent a Mercedes-Benz AMG GT the next time you’re in Miami. We are the premier luxury coupe rental service in South Florida. The AMG GT is the flagship model in the high-performance segment of the Mercedes-Benz brand. The 4.0L V8 engine packs 503 hp and can sprint from 0 to 60 mph in just 3.8 seconds. Have a blast the next time you’re in Miami with a Mercedes luxury car rental. Inside the Mercedes GT, you will only find 2 seats as it is a sports coupe after all. Explore Miami in one of the best Mercedes Benz coupe rentals. Try our Audi r8 rental service today. The R8 has a beautiful design and great performance. It is powered by a V10 naturally aspirated engine and can go from 0-60 in just 3.2 seconds. As you can expect from a high-performance sports car there is only room for two. Ever since it appeared in the Iron Man movie it has become one of the most popular luxury car rental requests we receive. Get behind the wheel of the flagship model in the Audi lineup. The r8 is a great sports car to cruise the streets of Miami. 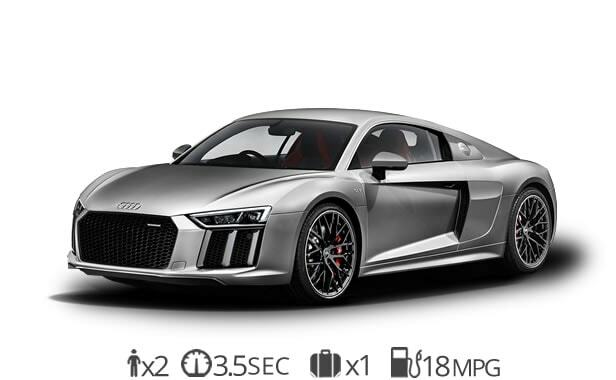 If you’re looking for a fun luxury coupe then the Audi r8 is right up your alley. This is the ultimate luxury car rental. You can get behind the wheel of a Bugatti in Miami today for a premium rate. The Bugatti Veyron can go from 0-60 in just 2.4 seconds and can reach speeds of up to 253 mph while still giving you a comfortable ride. 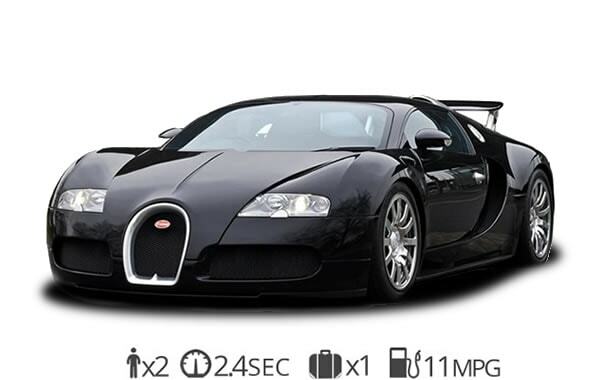 The Bugatti Veyron can brake from 253 mph to 0 in as little as 10 seconds. When you rent a Bugatti what you’re really renting is a piece of art on wheels. The Veyron is mostly reserved for video and movie productions but now anyone with the right credentials can rent this masterpiece. The Bugatti can be rented for $25,000 per day and requires a security deposit of $100,000. Ready to rent a luxury coupe?